A tedious and painful listening experience. When Bob Dylan is lazy or just uninspired he always leans on the blues. He does so a fair amount here. While he worked it out better with the simpler World Gone Wrong a few years later, here the glitzy and grandiose 1980s production suffocates any possibilities. Not that there really are many possibilities. “Ninety Miles an Hour (Down a Dead End Street)” might be the best offering, which is not saying much. 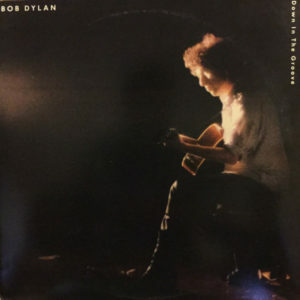 This is a leading contender for the ignoble title of “worst Bob Dylan album.” Really, it’s embarrassing.